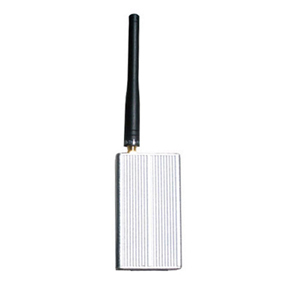 This extra-long range radio frequency (RF) RS232 serial wireless radio allows you to connect to any RS232 device i the range of up to 9800 feet. 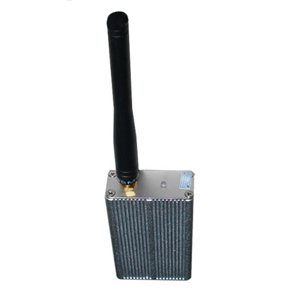 It offers easy and convenient serial wireless bi-directional networking capabilities broadcasting in the 433.30MHz band. Great for RS232 serial wireless communication with printers, building control, scales, alarm and security devices, manufacturing machinery such as CNC's and most other general and industrial serial devices. With the included configuration software each RS232 serial wireless radio can be configured with custom data settings which includes baud rates, parity bit and channel frequency. It can be used for point-to-point communication which makes setting up a communication link fast and easy. 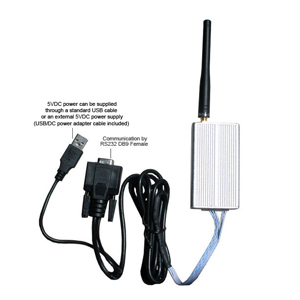 The parameters of these serial wireless adapters are configured through the serial RS232 interface so you would need to have a COM port available for this. If you do not have an available COM port we strongly recommend using our USB to serial adapter cable part XS8801 for configuring the parameters. 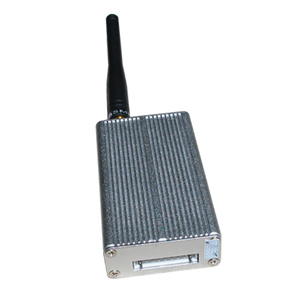 Each package contains one RS232 serial wireless radio which works as a transceiver, meaning it can both transmit and receive data, however not simultaneously (half-duplex only). You will need two serial wireless units to setup a communication link. By connecting a standard RS232 to RS485 or RS232 to RS422 converter to the serial RS232 interface of this wireless radio you can use it with RS485 and RS422 devices in a simple point-to-point or point-to-multi point configuration, however not in a true RS485 multidrop fashion. These units can be powered through the included USB cable or an external standard wall plug 110VAC/5VDC adapter, which is sold separately. 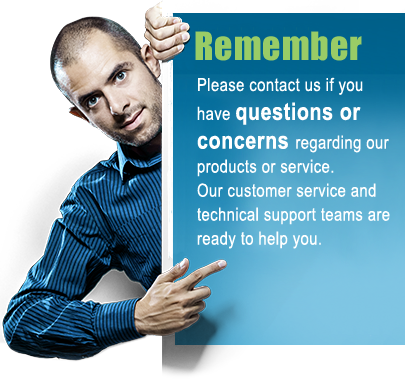 RS232 wireless serial radio modules - generally. Using a RS232 wireless serial radio is an easy way of creating a wireless RS232 link between a computer and a serial device, or even between two serial devices. The RS232 wireless serial radios we sell are very easy to setup and start using even with the default configuration, however if for example your application or serial device uses different data settings than the default settings of the radios then the included configuration software allows you to change the parameters easily. After you have configured the parameters of the RS232 wireless serial radio you can use them between two serial devices because these serial radios does not need an operating system to work, an operating system is only needed for configuring the parameters. After the parameters are configured you can disconnect RS232 wireless serial radio from your computer and the units will remember the configured settings. For alternative solutions and compatible products please see our selection of wireless RS232 serial adapters.